Yoshida(formerly Imahashi)Castle was buily by Makino Kohaku in 1505.Ikeda Terumasa,one of the feudal lords,was transferred to this castle in 1590.He began to build a splendid castle worthy of his high income(152,000 koku). 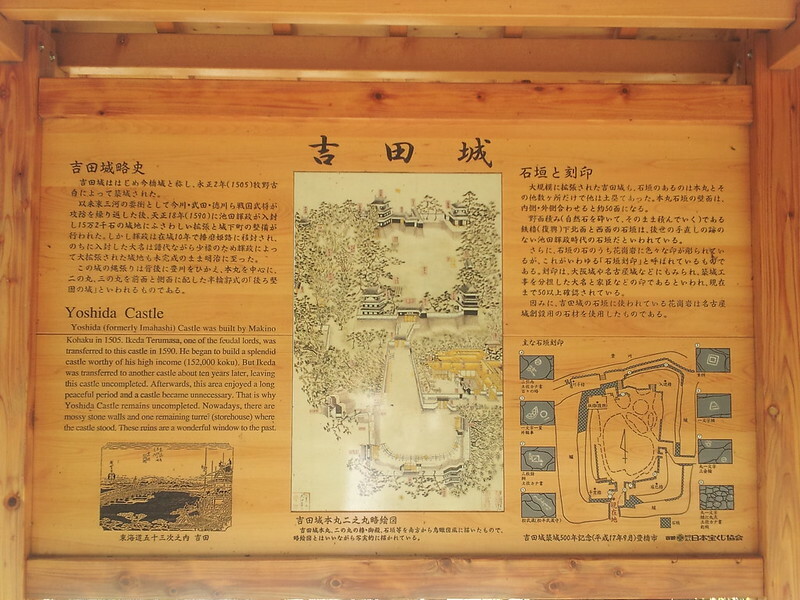 But Ikeda was transferred to another castle about ten years later,leaving this castle uncompleted. Afterwards,this area enjoyed a long peaceful prriod and a castle became unnecessary. That is why Yoshida Castle remains uncompleted.Nowadays,there are mossy stone walls and one remaining turre(storehouse)where the castle stood.These ruins are a wonderful window to the past.